Bryan Little is hoping to hit all the right chords on and off the ice throughout the Stanley Cup Playoffs. Heading home after a Sunday afternoon practice, Little, Winnipeg’s versatile veteran forward, is feeling pretty good these days. 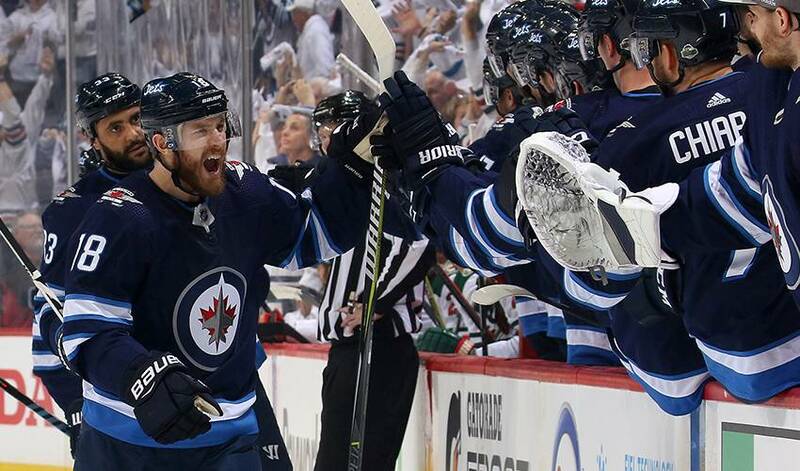 On the ice, the Jets marched into the Western Conference semifinals – where they’ll face Nashville – after eliminating Minnesota in five games. Little scored once, added an assist and fashioned a plus-three rating. Away from the rink, the Edmonton native has been enjoying the time off between series. It’s afforded him the opportunity to indulge in one of his favourite hobbies. When it comes to his music preferences, the 30-year-old is a little more old school than most of his teammates. Don’t expect Bryan Little Night at a Winnipeg club any time soon. Little’s most receptive and appreciative audience happens to be the Jets fans that fill the stands inside the Bell MTS Place and the thousands more that line Donald Street and beyond to take in the action on big screens. During Game 5 of the Jets-Wild Series, the street party zone stretched to Graham Avenue. Yes, it’s hard to go unnoticed these days in Winnipeg. And no, Little isn’t complaining. “Now that the playoffs are on, people are starting to recognize us a lot more,” he offered. “Especially if there are two or three of us in a group, people will come up and say, ‘You guys are doing great,’ and get a quick picture. I find that you get recognized a lot more and people come up and talk to you now that it’s the playoffs. And that thought, Little agreed, is music to his ears.